Home prices kept rising in August and September in most major American cities. That's great news for people looking to sell. However, some cracks appear to be forming in the housing market again. It may not be another bubble bursting like nearly 10 years ago, but it still may be a cause for concern. Two companies that could be considered canaries in a housing coal mine reported weak results and issued disappointing forecasts on Tuesday -- appliance giant Whirlpool (WHR) and paint manufacturer Sherwin-Williams (SHW). Whirlpool CEO Jeff Fettig called the environment "challenging," while chief operating officer Marc Bitzer added that there was "industry softness" in North America. Sherwin-Williams noted in its report that sales of paint to consumers and commercial customers fell from a year ago as well. Wall Street viewed that as bad news for both homebuilders and stores that sell appliances and other home improvement products. Shares of big builders Lennar (LEN), KB Home (KBH) and Pulte (PHM) all fell Tuesday. So did retailers Home Depot (HD), Lowe's (LOW), Sears (SHLD) and Best Buy (BBY). So is the housing market about to overheat again? Some experts aren't so sure. Voya Global market strategists Douglas Coté and Karyn Cavanaugh wrote in a report last week -- titled "Housing Industry is NOT in the Doghouse" -- that limited inventory and a 55-month streak of increasing prices have strained affordability for first-time buyers. In other words, it may not be the worst thing in the world for would-be buyers if the market starts to cool off just a little bit. Dean Maki, an economist with Point72 Asset Management (yes, the firm run by hedge fund king Steve Cohen, whose former firm pleaded guilty to insider trading), adds that single-family housing starts and existing home sales are still way below the peak levels from 2005. That's another sign that the housing market is not really a massive bubble. Maki expects sales and starts to "remain choppy" but says the "gradual uptrend" should continue for the foreseeable future. To that end, the Commerce Department reported Wednesday that new home sales were up from a year ago and that prices rose nearly 2% as well. It's also worth noting that mortgage rates remain relatively low, which is helping boost demand for housing. Whether rates stay this low for much longer remains to be seen. The Federal Reserve is expected to raise rates in December and could do so several times in 2017. If that pushes up long-term bond yields, then mortgage rates could soon follow. But for the time being, it looks like it's steady as she goes for the housing market -- neither a new boom nor another bust. 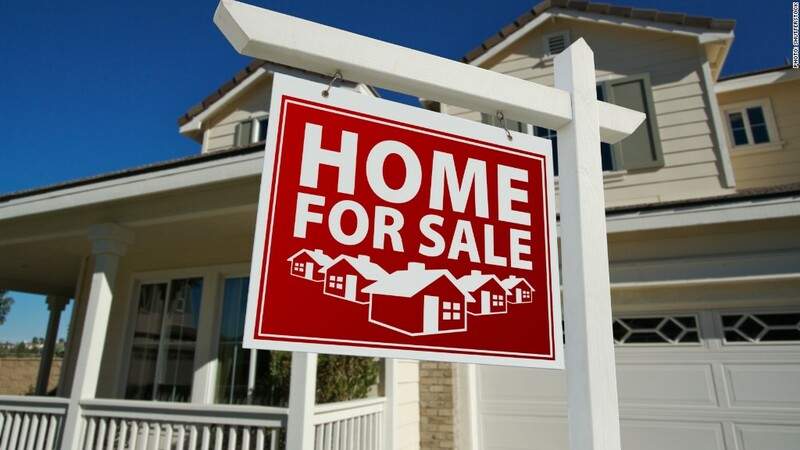 Len Kiefer, deputy chief economist for the government-backed mortgage buyer Freddie Mac, said in a report Wednesday that in particularly hot markets out West, there is a "battle between low mortgage rates and rising housing prices." The good news is that "low mortgage rates have helped on the affordability front" even though it is "becoming increasingly difficult for the typical family to afford a median price home." Despite that tug of war, home sales have continued to climb. So with that in mind, it will be interesting to see whether weak earnings from companies like Sherwin-Williams and Whirlpool turn out to be just a blip -- or whether the housing market really is in danger of peaking.